There are almost 250,000 children under age 18 in Wake County. 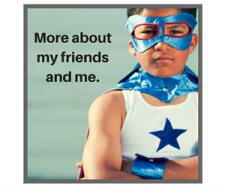 Following are a few facts about the top five causes of children's injuries in Wake County. Children ages 10-14 and 15-17 are at the highest risk. Fatalities are twice as likely to be boys. Almost 20% of emergency department visits are self-pay. Children under age 5 are at the highest risk of death. Over half of deaths were girls. Children age 15-17 are most likely to be hospitalized or visit the emergency department. Children hit by a motor vehicle are likely to result in a fatality. Over 60% of fatalities are boys. Over 40% of deaths are children under age 5. 8 of the 14 deaths were for children 10-14 years old. 10 of 14 deaths were from hanging. All age groups have high numbers of falls. Falls are the leading cause of hospital discharges. Most falls are injuries to boys. Read about the John Rex Endowment's goal to increase the number of people and organizations engaged in activities that are effective in preventing injury and ensuring the overall safety of Wake County children.